This video from NewScientist shows the first time special equipment designed for deep sea sent to retrieve their daily live hood. Extreme pressure and cold, they looks like mutated monster tadpole. Oh, maybe ten thousand years later they grow legs and evolve to humanoid. They look like our reproductive seed anyway. (Video) Youtube, NewScientist. 1. Used washing net, for those who have no idea ask your mum. 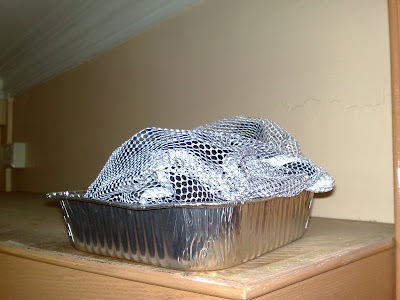 Stuff the charcoal in the washing net and then put them on a plate. Place one of each in every room highest spot you can find. Forget them. Now you will have a purified room in no time. Charcoal is a natural toxic gas and chemical absorber. It is also cheap and plentiful. There are also some creative ways that you can reduce carbon generated by your PC. Simply put a piece of it inside your CPU. Brilliant idea? Atheist has denial the existent of God for few thousand years now. There is an answer, there was no God. The team that made this documentary is God, to tell you to show kindness to your neighbor, before they get tired. God Grew Tired of Us – Wikipedia, I can lend it to you. I think www.godgrewtiredofus.com is down. Really tired huh?